Toyota has revealed the new Corolla Hatchback before its official launch at the New York auto show this week. 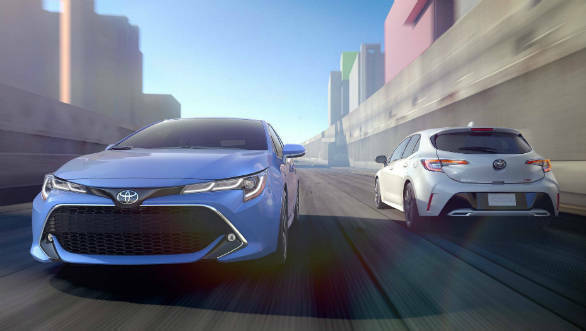 The Toyota Corolla Hatchback is based on Toyota's new Toyota New Global Architecture (TNGA) platform and is effectively the US-spec version of the Auris hatchback revealed at the Geneva Motor Show last month. The car is now 38.1mm longer, 30.4mm wider and 25.4mm lower than its predecessor with most of the length being added to the wheelbase. The car will be powered by a new 2.0-litre petrol motor in the US market. No power figures have been revealed but it is expected to be lighter, more powerful and more efficient than the present 1.8 petrol which is also found in the Indian-spec car. This engine will be paired with a new 6-speed manual with auto rev-matching or a new CVT automatic. The Corolla has been Toyota's bread-and-butter product line since it's launch in 1966. While this new 12th-gen hatchback will probably not make it to India, this car's sedan equivalent (expected internationally in 2019) will eventually replace the current Corolla Altis sedan. 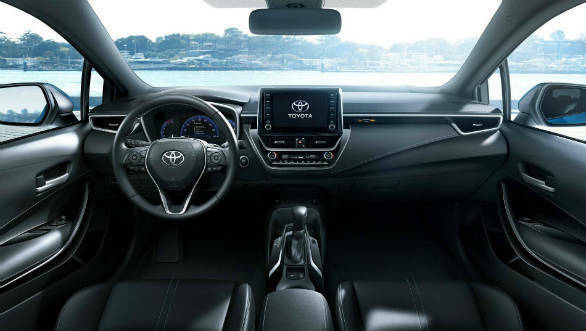 Tags: 2019 Toyota Corolla | 2019 Toyota Corolla reveal | 2019 Toyota Corolla details | 2019 Toyota Corolla images | 2019 Toyota Corolla launch in India | 2019 Toyota Corolla launch in USA | 2019 Toyota Corolla information | 2019 Toyota Corolla price | Toyota | corolla-altis | 12th-gen Toyota Corolla | 2018 New York Auto Show | new toyota car | Toyota India | toyota car india | New York International Auto Show? ?